The Downtown Fairfax Coalition, with the design assistance of Crigler Associates Architects, designed welcome signs identifying Old Town Fairfax. These were installed in the medians of Main Street and Chain Bridge Road at the boundaries of the Historic and Transition District. 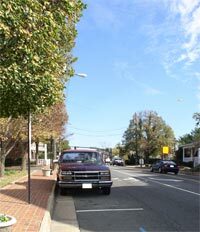 Since its inception, The Downtown Fairfax Coalition has worked to identify locations for onstreet public parking. 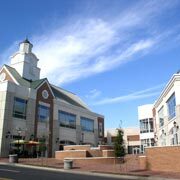 As a result there is now onstreet parking on Main Street between Chain Bridge and Old Lee Highway, Sagar Avenue, and Chain Bridge Road to serve the old library location, Old Lee Highway at Fairfax commons. 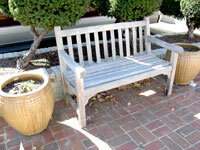 The Downtown Fairfax Coalition has worked hard to guide the redevelopment of Old Town Fairfax. The first phase of that redevelopment is the Old Town Village development and the relocation of the Library as a part of that. 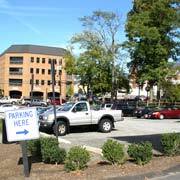 The Downtown Fairfax Coalition has worked with the city to insure adequate parking in Old Town during construction of Old Town Village and the new Library. The city as a result has created a series of surface parking lots to replace the Public parking on the Webb Lot displaced by development.